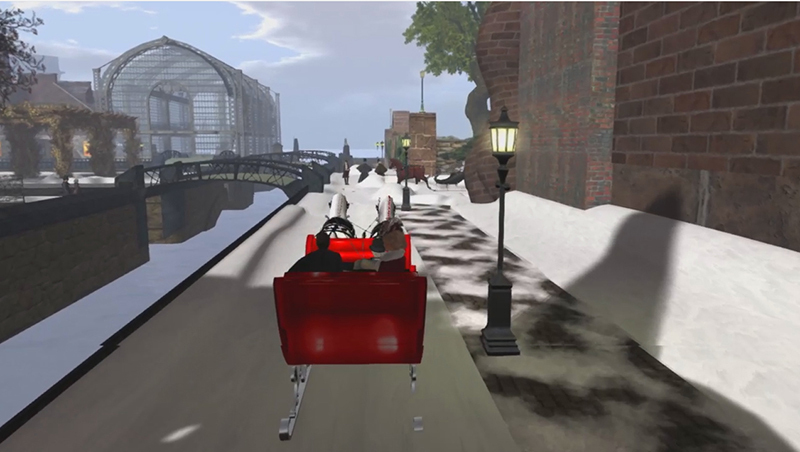 A Winter Journey to New Babbage! And what can possibly go wrong with that? But not to worry, for Miss Widdershins and Mr Mornington are on the trail with the aid of a trusty (if somewhat reluctant) Mr Biggins*. 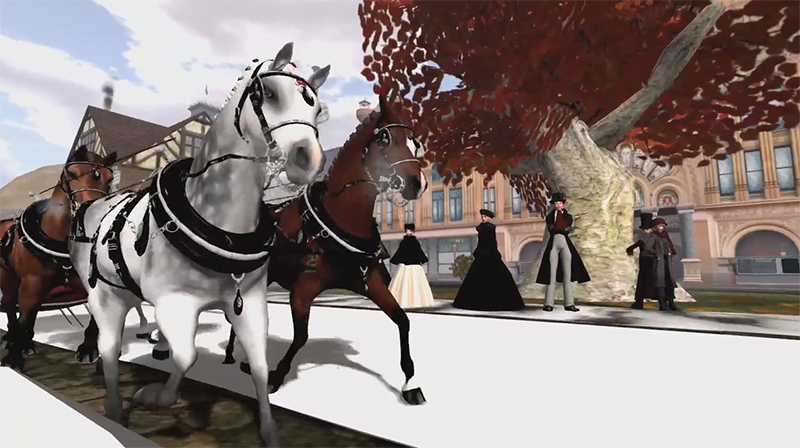 Join us at 2pm SLT today, Monday 8th December, for Designing Worlds at our studio in Garden of Dreams as we celebrate the festive season with a special holiday edition of the show set in New Babbage. And amongst the cast are Mr Mornington, Mr Biggins, Dr Jekyll and sundry inhabitants of New Babbage – as well as the amazing horses and drivers from the Heart Stables (with thanks to Miss H0neyheart). On the trail in New Babbage! So … do join us at 2pm for a very special Christmas episode! 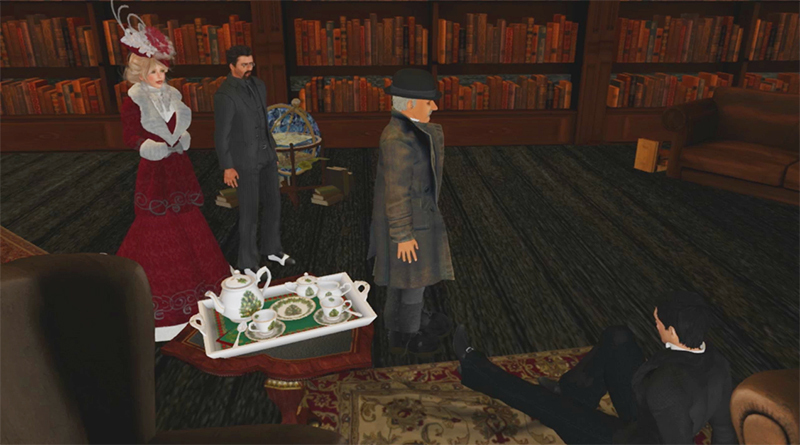 Or – if you can’t attend in person – tune in to the web at 2pm SLT on Monday for a special showing on Aview TV – or catch it later in the week on our shows page on the Treet.tv web site at http://treet.tv/shows/designingworlds – or on the Designing Worlds blog – our very own version of the iPlayer! * This is believed to be Mr Jebediah Biggins as his brother Odadiah has got himself mixed up with some very strange types, currently to be seen in the series The Blackened Mirror!